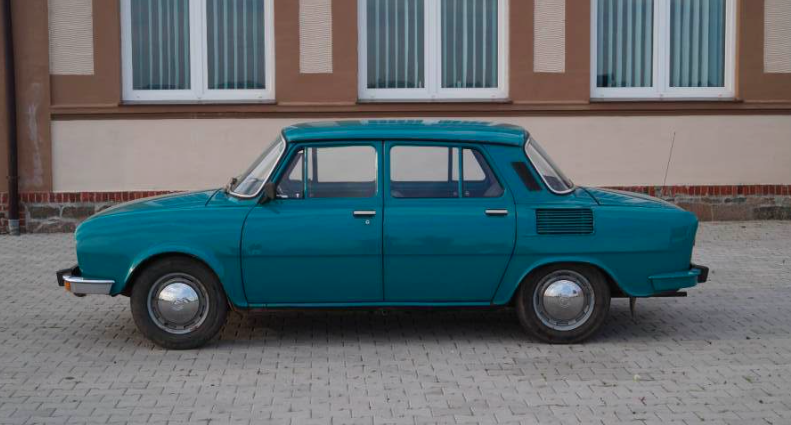 If you wanted a car before the fall of communism in Eastern Europe, you bought domestic, as the Soviet Union didn’t allow the importation of foreign autos. And because cars, the ultimate expression of personal freedom, directly challenged the most basic assumptions of the communist agenda, Soviet automakers decisions were based on the government rather than market demand.. This created a wide variety of weird, awesome communist -era automobiles that We The People were never exposed to. Our favorites hail from the Czech Republic. The auto industry has been a big part of the Czech region since before the 20th century. Tatra created the first automobile in central Europe in 1897: the Präsident. This double sofa on wheels could reach a whopping 19 mph and featured handlebars instead of a steering wheel. Fast forward to 1934 when Tatra’s engineering genius really started to shine with the release of the 77, an aerodynamic shaped luxury sedan with a tube chassis, independent suspension, and a highly advanced air-cooled V8 mounted at the rear, attached to a transaxle driving the wheels. The 77 is arguably the most influential car in history and caught the eye of a another Czech-born automotive engineer you may have heard of: Ferdinand Porsche. Porsche went on to borrow much of his design from Tatra during his creation of the Volkswagen. After the war, another Czech car manufacturer, Skoda, was quietly recovering from it’s destruction at the hands of the Allied forces. In July of 1945, Skoda completed reconstruction of one of their factories and built super mediocre cars right up until the 1960s, when designers tried their hand at a fuel-efficient car for the masses. Their new four-door rear engined rear wheel drive sedan was the 1000 MB. It featured a very stylish but conservative look, a top speed of 75MPH and an average of 36 miles to the gallon. With a large trunk and seating for four, this economical car proved excellent in the city. The 1000 MB was generously equipped for the day and had unique features like folding rear seats for extra storage. It was a hit in both eastern and western Europe, with over four hundred thousand produced over a six year period. As they were generally a low cost alternative to other European cars of the day, many were left to rot and few survive today. Though the early examples are gaining value in eastern Europe, very affordable, low miles, clean examples can be found. We have our eye on the particular example below, which has 25,500 original miles and no rust. We picture this adorable little classic cruising around San Francisco (it’s pre 75, so it is CA legal and exempt from smog), simultaneously turning heads that then get scratched. The rear-engined layout means it’s fun as hell to drive, without enough power to get your in trouble. With great mileage, style for days, and cheap initial/running costs, what’s not to love? A 1973 classic with so few miles and no rust is automatically interesting, but it’s rarity in the United States is what will make this such an excellent and rewarding piece of history to own.